Proven UAV systems and accessories to help you complete your mission. Hand assembled in the US from the highest quality components, these items won't let you down. Click any image on this page for a larger version. 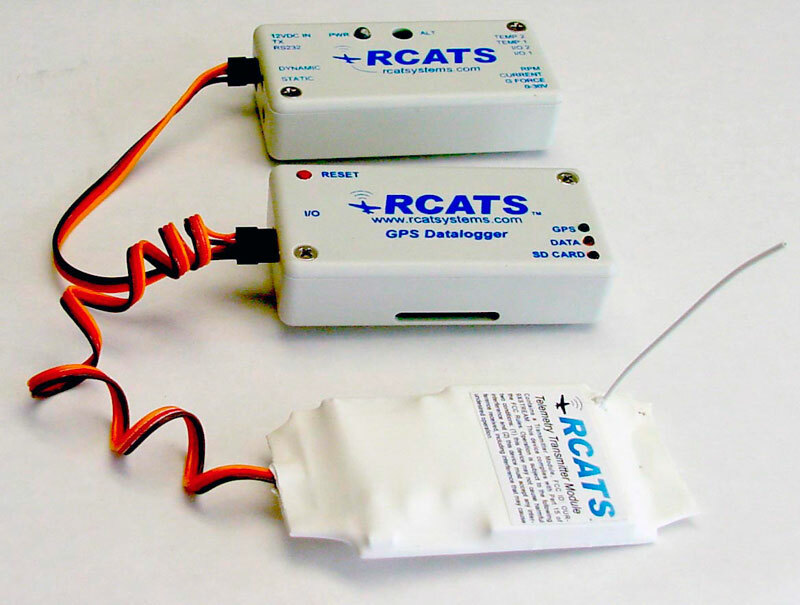 Suited for prototyping and proof of concepts, the RCATS UAV telemetry systems offer you units that are robust, yet will not strain your tight budgets. Designed as a scalable system, the modular components allow for a variety of applications and configurations. There's no reason to pay for wasted features you don't need. 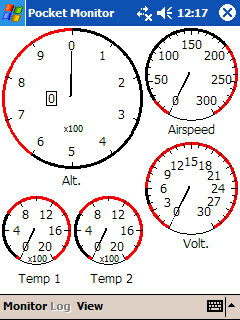 Contains virtual instrument panel software for PC operation. 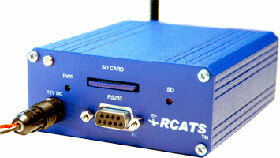 PDA software for Pocket PC 2003 or greater is included. 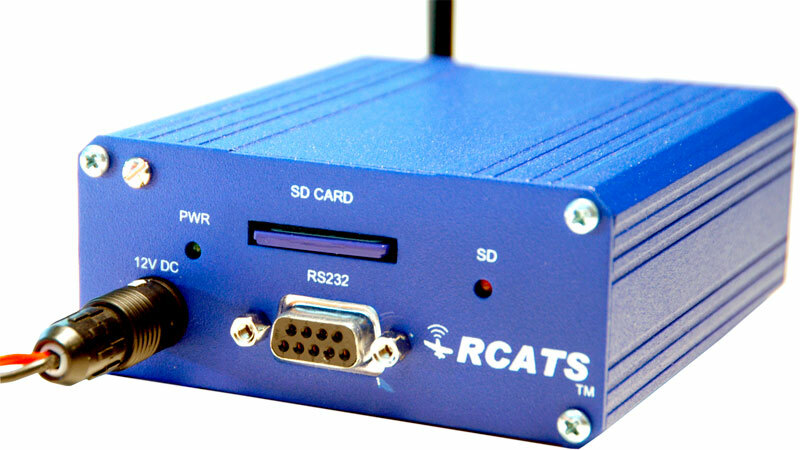 Designed for harsh applications, the integrated RCATS Industrial UAV unit builds on the core functionality of the RCATS UAV unit, but with increased durability in a single enclosure. 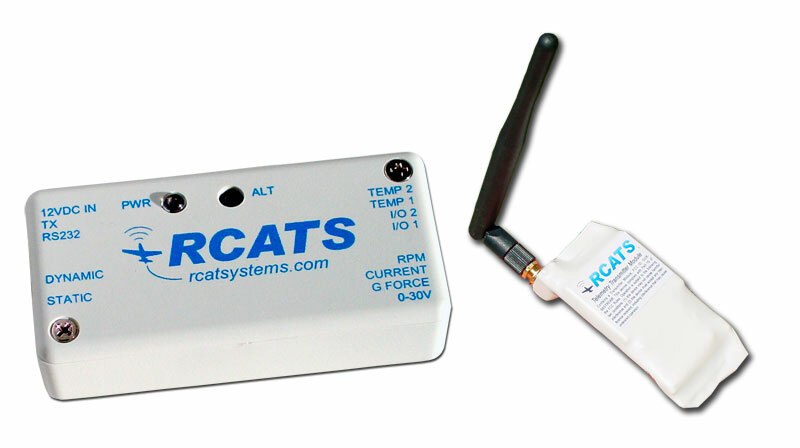 The RCATS IND-UAV unit also features a higher output power RF link, interlocking connectors and a built in data-logging solution. 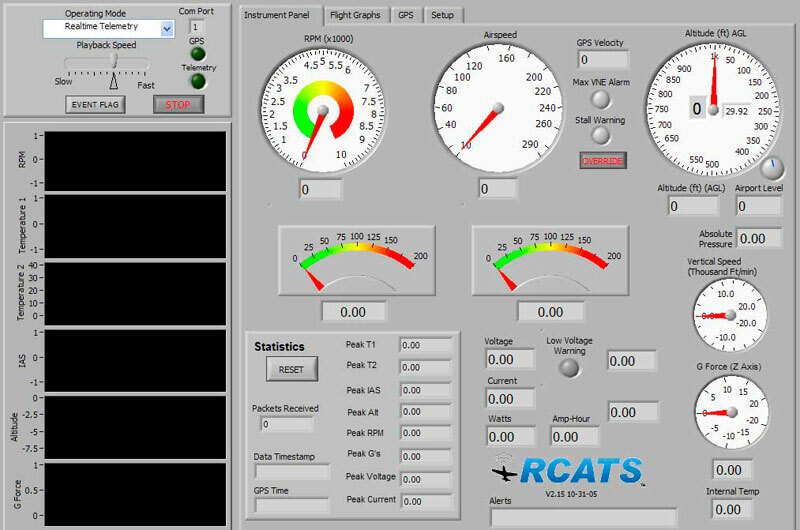 Contains virtual instrument panel software for PC operation. 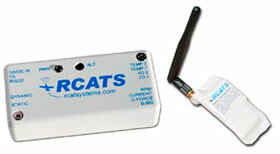 PDA software for Pocket PC 2003 or greater is included. 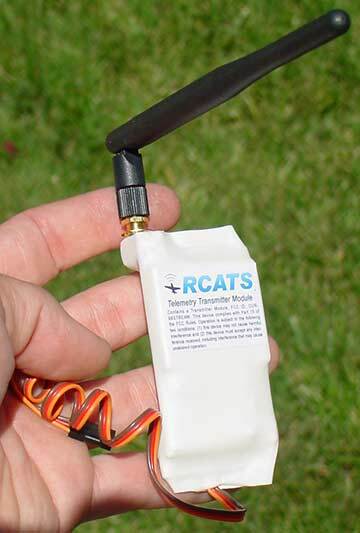 The RCATS-UAV units measure 3.18” x 1.6” x .75”. 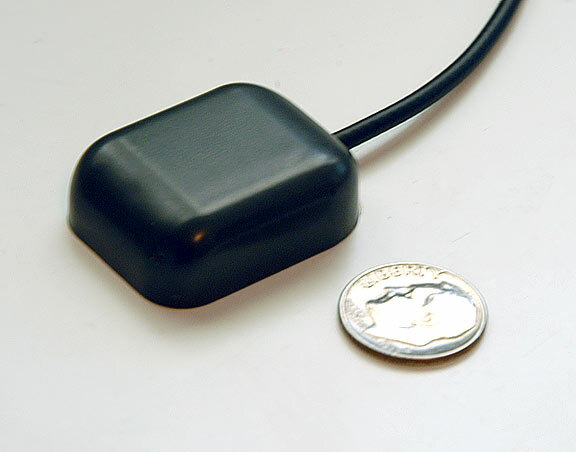 The transmitter measures 3” x 1.75” x 0.5”, while the ground based reciever measures 5.125” x 2.5” x 1”. 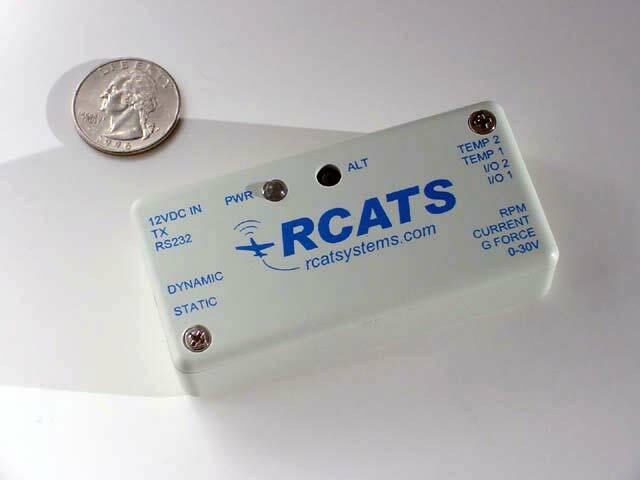 The RCATS-IND-UAV unit is housed in a 4” x 3.75” x 1.75” aluminum enclosure with a blue powder coated surface. 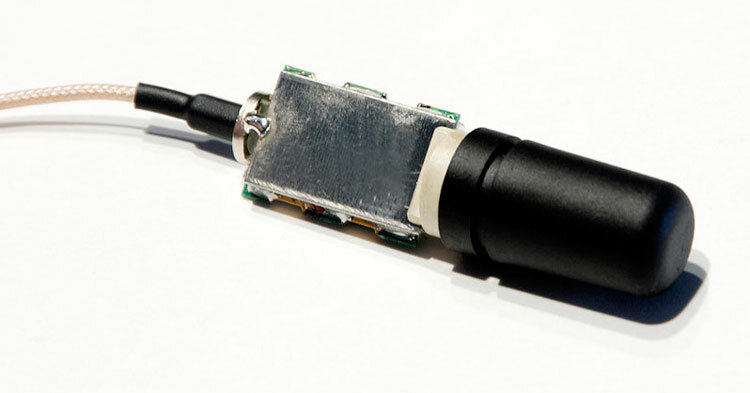 Interlocking connectors enable secure, worry-free operation. 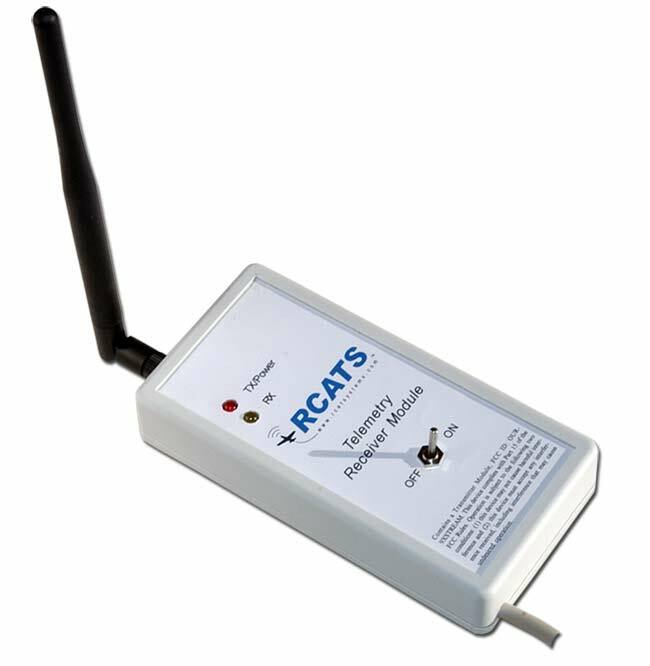 Avalable as an add-on to the RCATS telemetry systems or as a stand alone system. 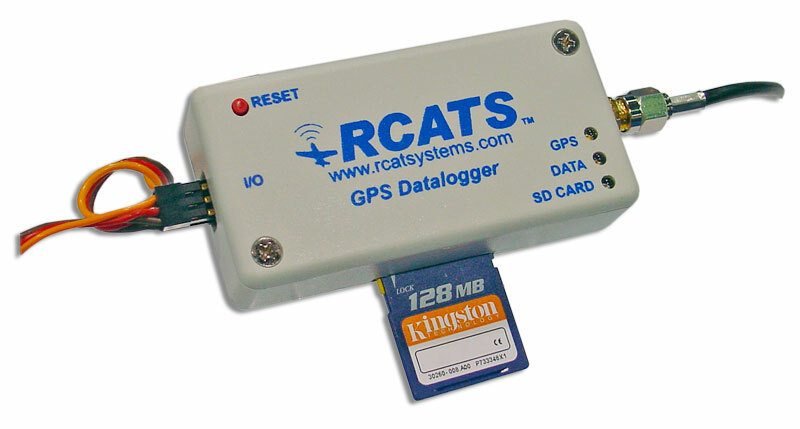 The GPS datalogger functionality is already included in the RCATS Industrial unit. connector on the side of the case. 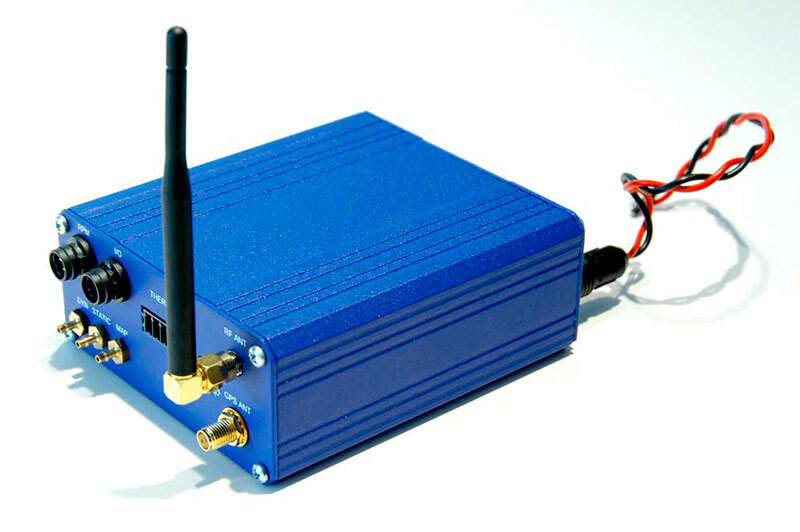 • Optional Geohelix antenna with a broad antenna pattern. 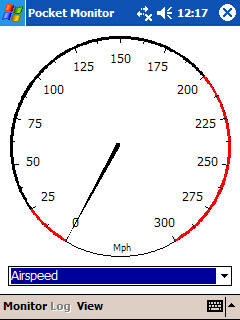 Used for vehicles with rapid attitude changes. 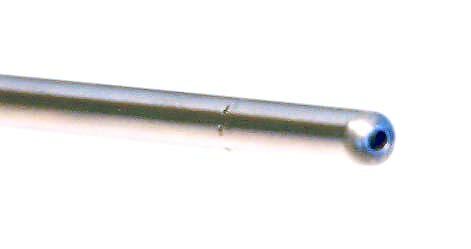 Our high quality stainless steel pitot-static probes are designed to ensure you get the most accurate measurements. 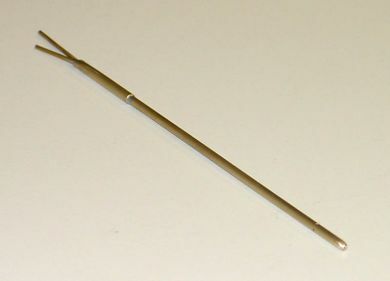 Available in 6� or 12� lengths, these probes feature a stainless steel design and are 1/8� in diameter. The static ports are laser drilled and positioned for optimum efficiency. 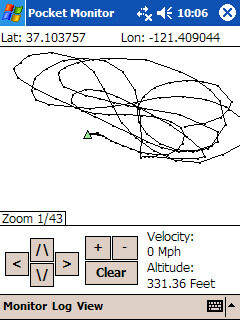 A properly designed pitot-static probe is key to your measurement. Also available in a brass, and a large 12" version. This lightweight, low moment of inertia Alpha Beta Probe is ideal for angle of attack and sideslip measurements on lower speed applications. 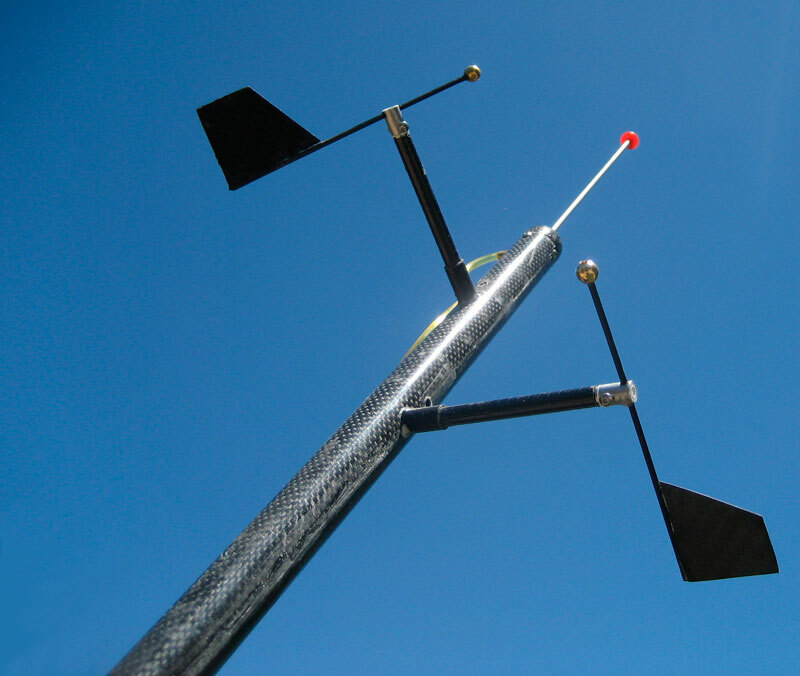 Because each vane’s shaft is entirely free floating (not tied to a potentiometer), the vanes are very light and respond well to low speed applications. Vane size is therefore reduced and moment of inertia is low. These probes are custom built on an as ordered basis. 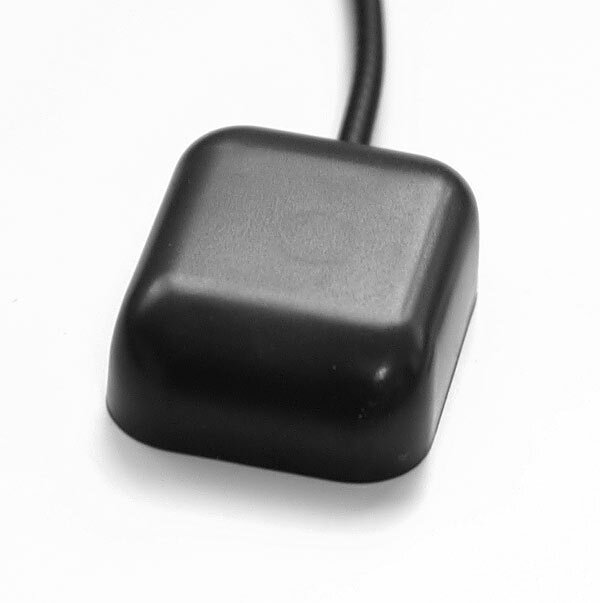 We would be happy to discuss building a custom probe for your application. For current pricing and details, check the latest price list or give us a call. 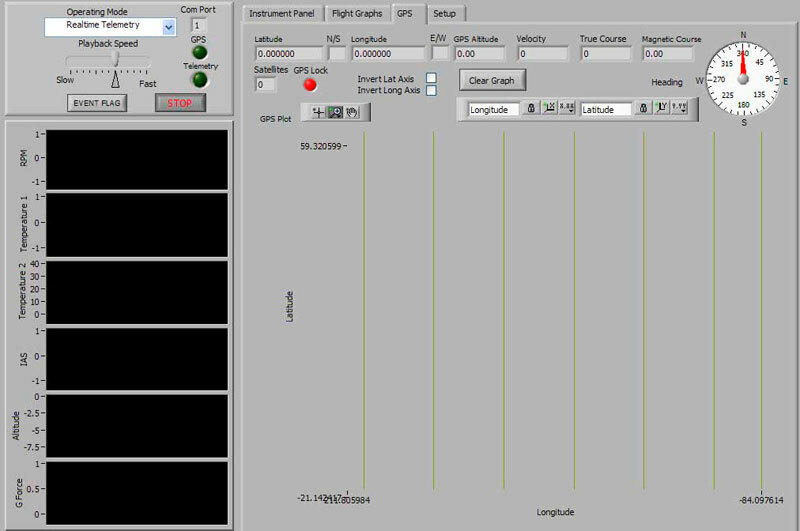 Download the Alpha-Beta Probe datasheet here. 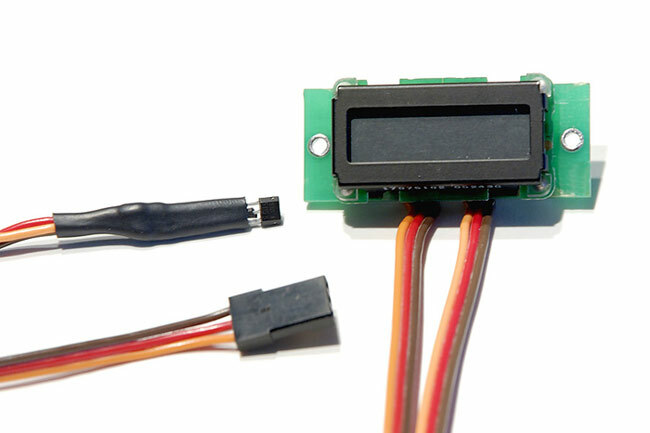 This compact device logs and displays engine ON time up to 99999.9 hours with .1 hour resolution by sensing when your engine is on ( >300RPM). 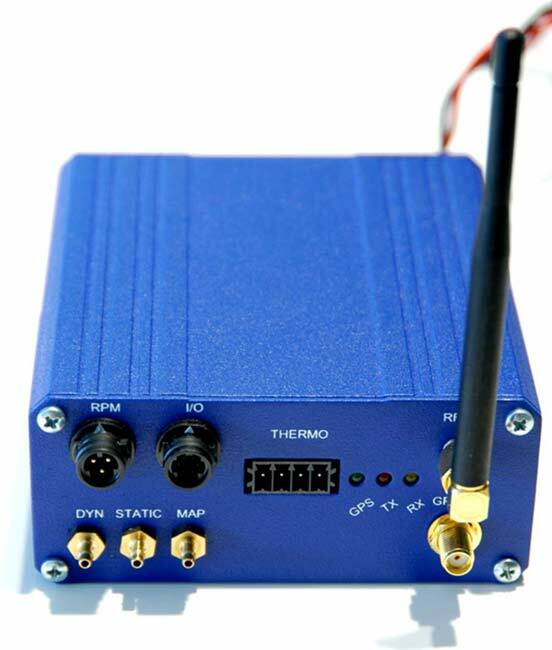 Great for UAV's that require service intervals during operation or for the curious enthusiast who wants to track motor time.